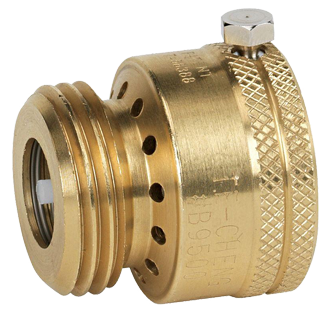 ASSE 1011 – Hose Connection Vacuum Breaker (HCVB) | Backflow Solutions, Inc.
A HCVB is a type of AVB that is specifically designed to be attached to a hose bibb or faucet. A hose is then attached on the downstream side of the HCVB. A HCVB is a spring-loaded check and diaphragm used to prevent backflow occurring. The HCVB cannot be subjected to backpressure. A HCVB is ideal for non-continuous pressure health hazard hose attachments such as sinks, pools or outdoor gardening.